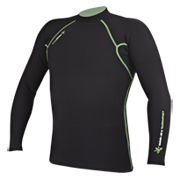 NEW "QUICK-DRY" THERMAL APPAREL FOR ACTIVE AMPHIBIOUS ENTHUSIASTS! 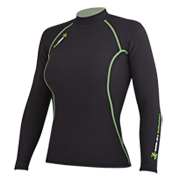 Frogskins is a new line of amphibious watersport apparel that has been specifically designed to provide you with enhanced warmth, windchill protection and maximum comfort whether you are in, on or around the water. Developed and produced Probe Wetsuits, Frogskins are a true revolution! 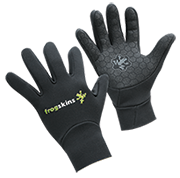 Not only are Frogskins the most flexible and most insulative thermal garments on the market, they are also amazingly quick-drying on the inside ...you'll never have to put on a wet, cold thermal garment ever again when you're wearing Frogskins! 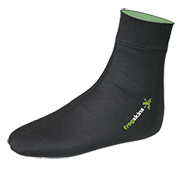 The inner lining is a revolutionary new "QUICK-DRY" fleece material that not only dries super quick, it's also super warm, super comfortable and protects you from wind-chill. 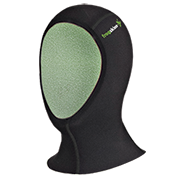 In fact, it's the same amazing "QUICK-DRY" fleece material that is used in the Probe iDRY wetsuits line, only green in colour! 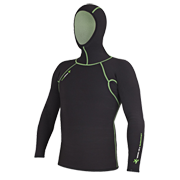 The middle layer is a waterproof and windproof 0.5mm ultra-stretch neoprene membrane that provides you with a thermal insulation barrier from cold water and wind-chill, whilst trapping core body heat next to your skin. 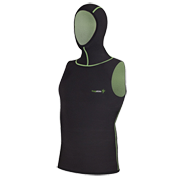 The outer shell is a super flexible, highly abrasion resistant ultra-stretch nylon that provides you with a similar fit to an athletic compression garment, whilst making the garment incredibly comfortable to wear and super easy to get on and off. Frogskins can be worn under any wetsuit for extra warmth or as a stand alone exposure protection garment for tropical to temperate waters.